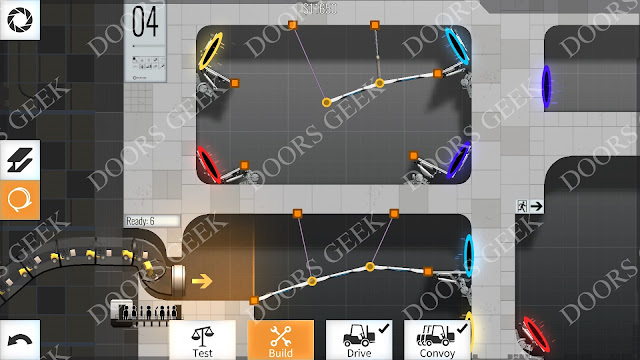 Bridge Constructor Portal Level 15 (Propulsion Gel 01) Convoy Walkthrough, Cheats, Solution for Android, iPhone, iPad, iPod and PC (Steam). Bridge Constructor Portal Level 14 (Cube vs Turret) Convoy Walkthrough, Cheats, Solution for Android, iPhone, iPad, iPod and PC (Steam). Bridge Constructor Portal Level 13 (Fly like an eagle) Convoy Walkthrough, Cheats, Solution for Android, iPhone, iPad, iPod and PC (Steam). 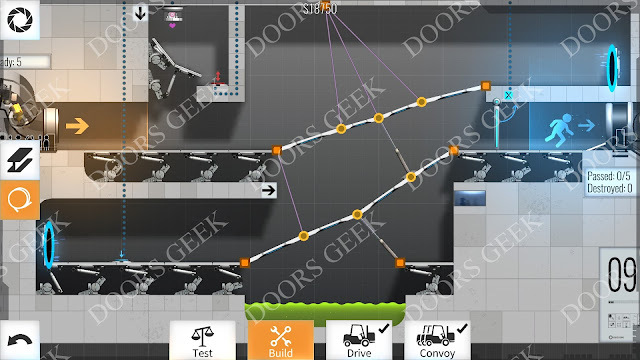 Bridge Constructor Portal Level 12 (Under Heavy Fire) Convoy Walkthrough, Cheats, Solution for Android, iPhone, iPad, iPod and PC (Steam). 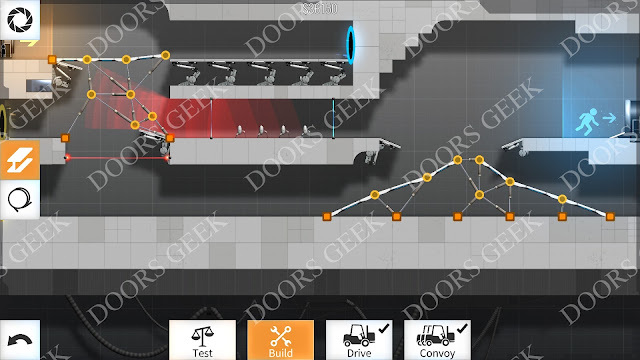 Bridge Constructor Portal Level 11 (Under Fire) Convoy Walkthrough, Cheats, Solution for Android, iPhone, iPad, iPod and PC (Steam). 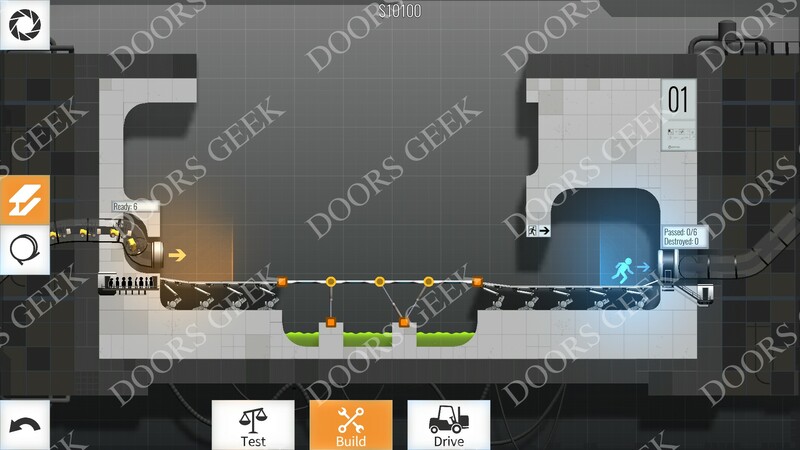 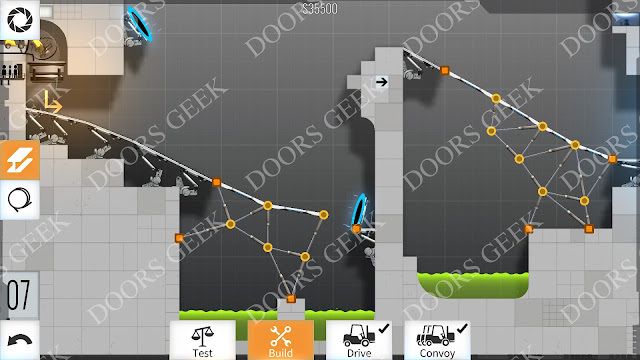 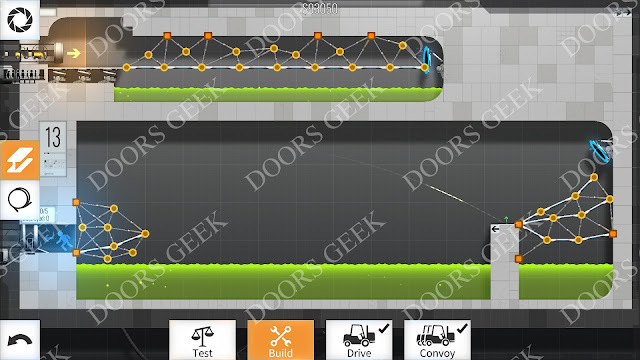 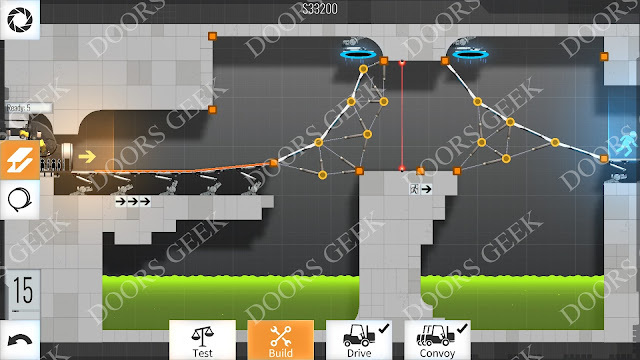 Bridge Constructor Portal Level 10 (Cube Detour) Convoy Walkthrough, Cheats, Solution for Android, iPhone, iPad, iPod and PC (Steam). Bridge Constructor Portal Level 9 (Super-Colliding Super Button) Convoy Walkthrough, Cheats, Solution for Android, iPhone, iPad, iPod and PC (Steam). 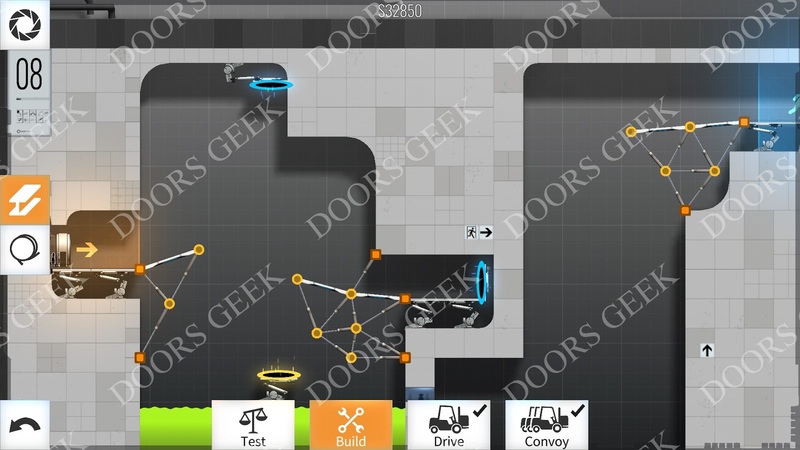 Bridge Constructor Portal Level 8 (Vertical Drop) Convoy Walkthrough, Cheats, Solution for Android, iPhone, iPad, iPod and PC (Steam). 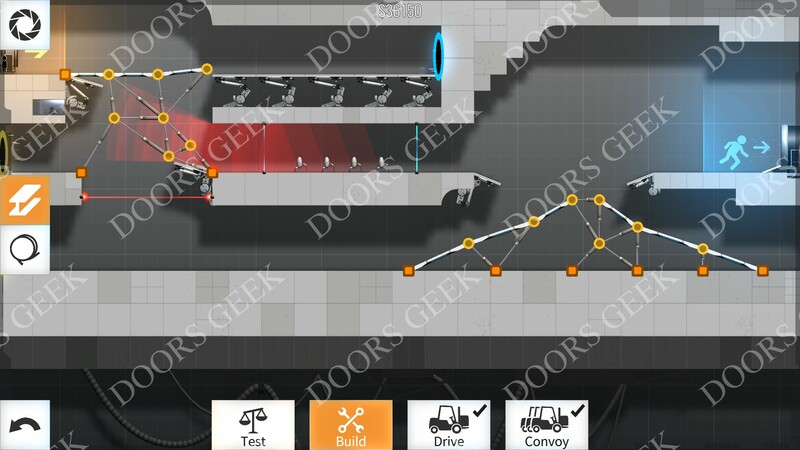 Bridge Constructor Portal Level 7 (Thrust) Convoy Walkthrough, Cheats, Solution for Android, iPhone, iPad, iPod and PC (Steam). 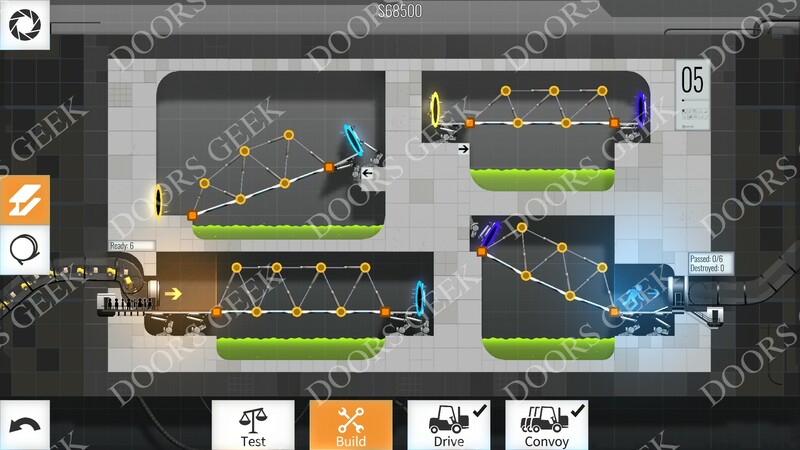 Bridge Constructor Portal Level 6 (Crisscross) Convoy Walkthrough, Cheats, Solution for Android, iPhone, iPad, iPod and PC (Steam). 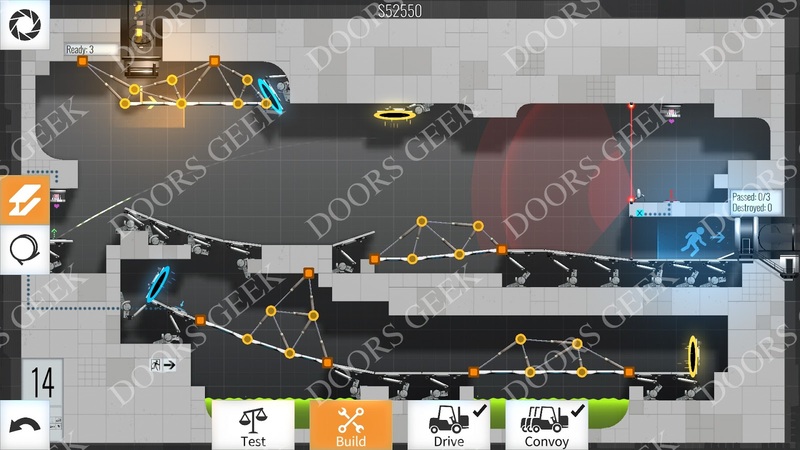 Bridge Constructor Portal Level 5 (Arches) Convoy Walkthrough, Cheats, Solution for Android, iPhone, iPad, iPod and PC (Steam). Bridge Constructor Portal Level 4 (Colorings) Convoy Walkthrough, Cheats, Solution for Android, iPhone, iPad, iPod and PC (Steam). Bridge Constructor Portal Level 3 (Quantum Tunnel) Convoy Walkthrough, Cheats, Solution for Android, iPhone, iPad, iPod and PC (Steam). 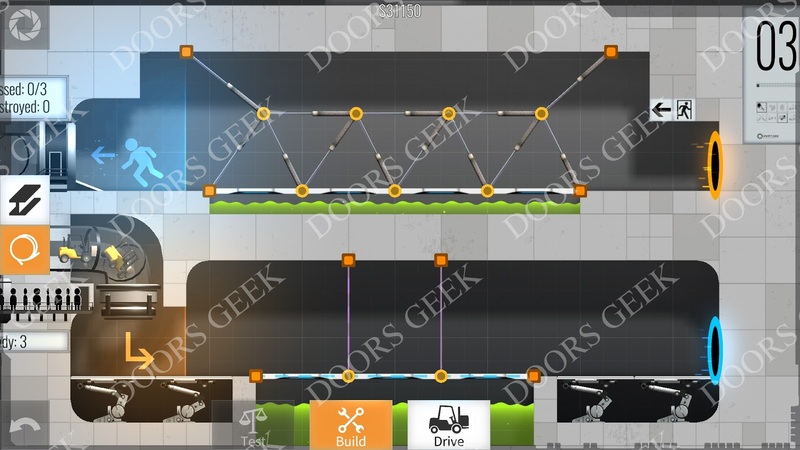 Bridge Constructor Portal Level 2 (Slopes) Convoy Walkthrough, Cheats, Solution for Android, iPhone, iPad, iPod and PC (Steam). Bridge Constructor Portal Level 1 (My First Bridge) Convoy Walkthrough, Cheats, Solution for Android, iPhone, iPad, iPod and PC (Steam). 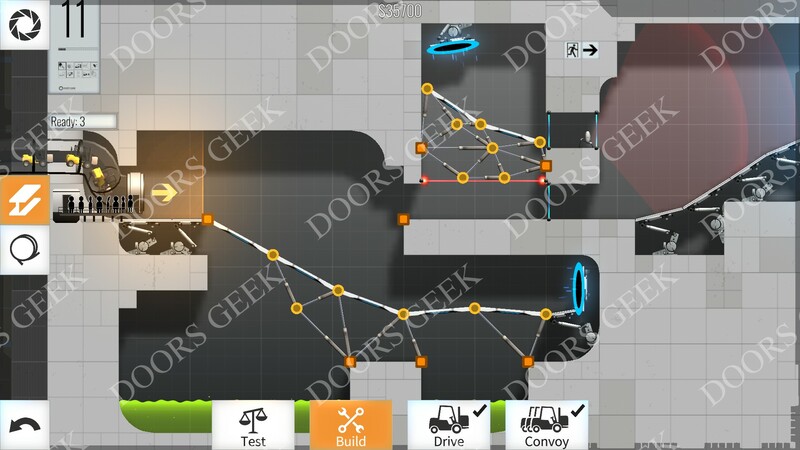 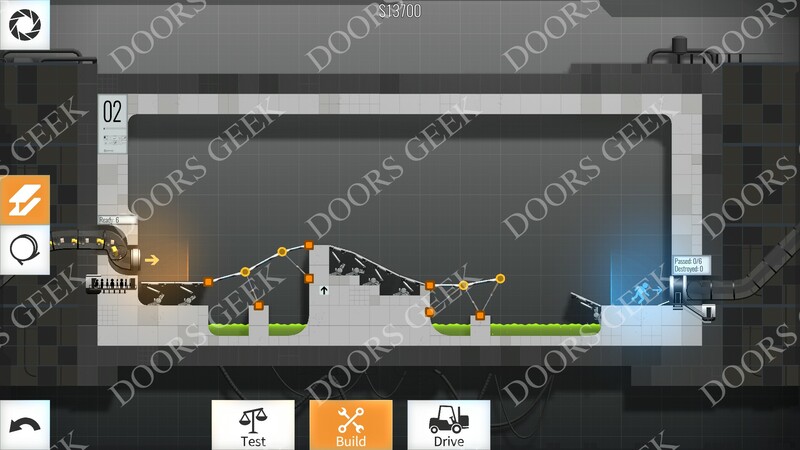 Bridge Constructor Portal by Headup Games walkthrough, cheats, solutions for all levels. 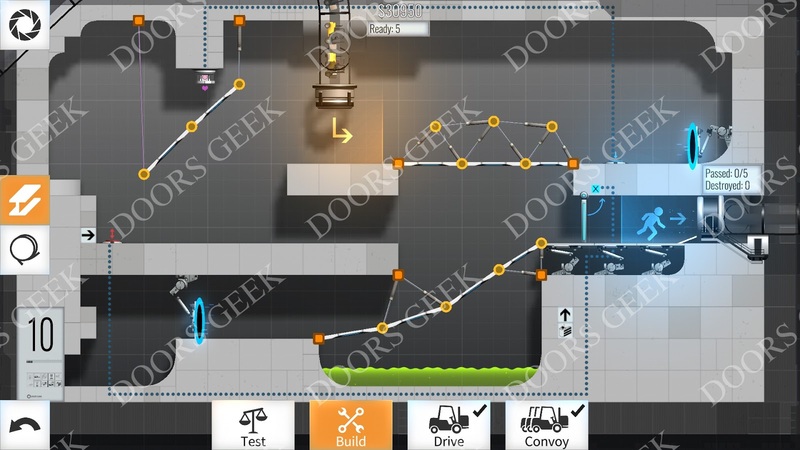 Bridge Constructor Portal is a bridge builder game like no other, it is a merger of Portal with bridge construction games. 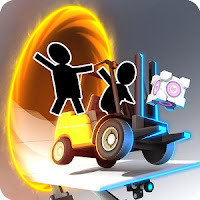 You will rediscover all the original Portal game elements like portals, turrets, companion cubes, speed gel etc... that will help you, or hinder you from building bridges. The bridge building aspect of the game is not that hard, but you have to figure out where and how to build each bridge to solve the level. 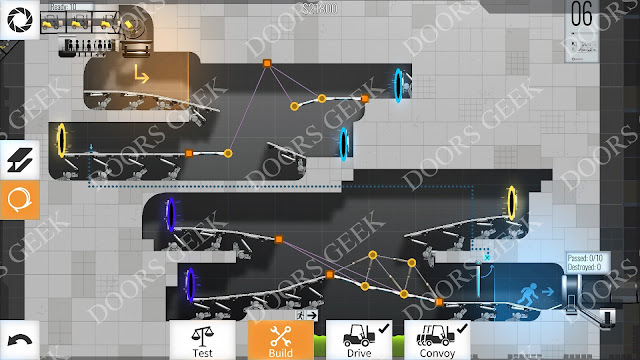 If you can't figure out the solution on your own, you can take a look of the complete walkthrough on this page, containing the solutions for all 60 levels with convoy solutions!